Daniel and Marie along with their children serve the International Church of St Paul and Nice, the local expat community, and their French friends. In each of their circles of influence they reach out to build friendships by generously and boldly giving of their time and love. These friendships are nurtured Supernaturally as the Orozcos prayerfully and deliberately apply the Gospel message as a building block of their hospitality. 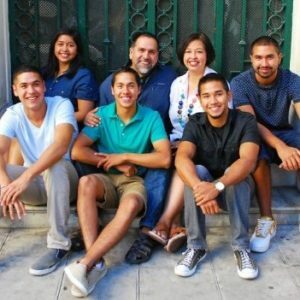 To support the Orozco family with an electronic gift, visit dentonbible.onlinegiving.org. Include “9757” on the memo line.